For this colorful season, we’re celebrating the nature at PinKixx, in the way we know best. We are offering HUGE SALE on our popular items this month! Click the pic below and see our “COLORFUL GEMSTONE” items that are on sale. Our most popular items, “REAL LEAF” jewelry, are on sale as well! Getting ready for the holidays, you can stock up your favorite jewelry for gifts too. International orders will be discounted the same amount. This special offer ends at 11:59pm on November 14, 2016, pacific time. Come over today, and enjoy! BE THE FIRST TO KNOW! 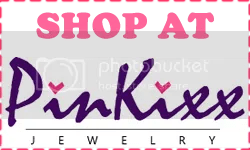 Sign up for the pinkixx newsletter to instantly privy to FREE jewelry giveaways, fresh pinkixx news, upcoming events, exclusive offers, and useful everyday tips to be successful as a confident woman. Have the Best Holiday with the Best Deal! Your Favorite Summer Drinks Here!